Don’t miss a moment, subscribe to our e-newsletter below to ensure you receive all announcements. We also suggest following us on Facebook, Twitter and Instagram to receive advance news notifications, course updates, and more. Special PGA (post greens aeration) rates effective April 17 through May 2, 2019. Our popular Unlimited Golf & Free Lunch special is back for the 2019 golf season! Join us for a fun day of contests, games, live music from 3-6 pm by local artist Freddie Long, drink and food specials Saturday, May 4th. We are guaranteeing a rain free round through April 30, 2019! Seniors 55 years young or above are eligible for our senior rates. Purchase four or more rounds in advance and receive free lunch with each round! The late afternoons and evenings present some of the best times to play with scenic views and spectacular sunsets. Celebrate your birthday at Worthington Manor and receive a free sleeve Bridgestone Golf Balls. Youth ages 6-18 are eligible to join YOC through MSGA and play for just $5. 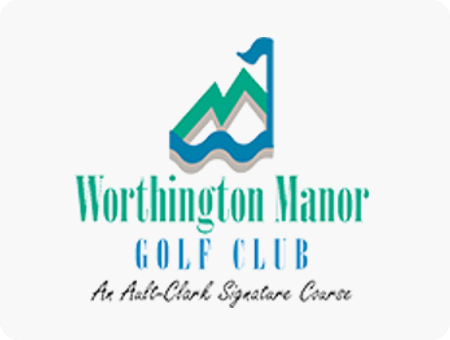 On Tuesday, May 7, 2019 Worthington Manor Golf Club is scheduled to host its 11th U.S. Open Qualifier. Worthington Manor is hosting the 98th Maryland Open Championship July 15-17, 2019. Notably only the third public golf club to host this historic championship.